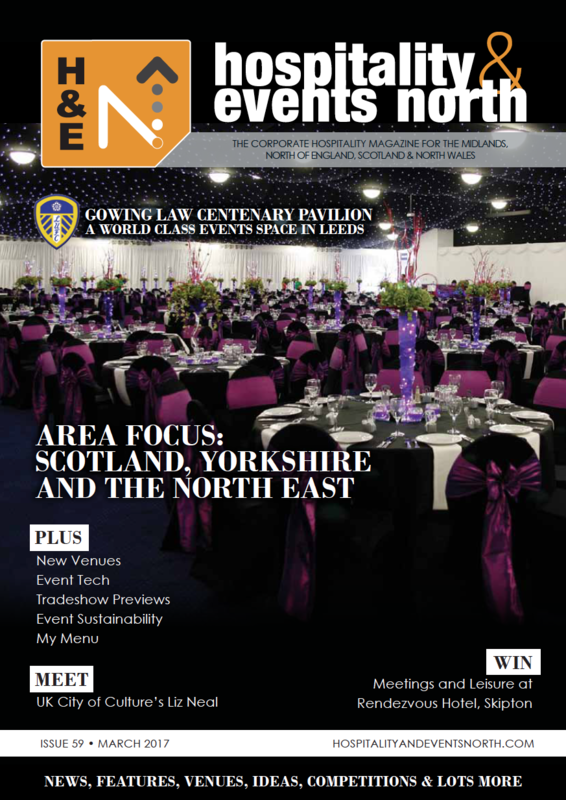 Hospitality & Events North Magazine Feature The Chimney House! 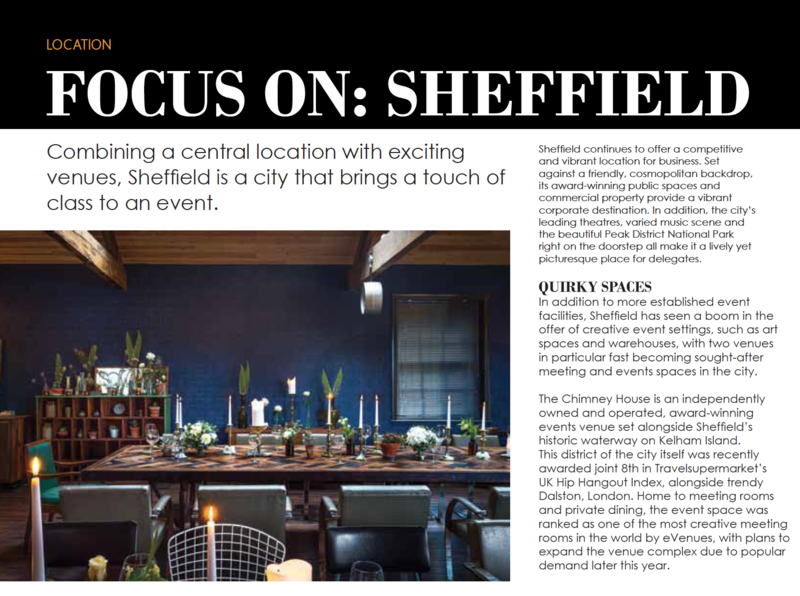 Industry titans Hospitality & Events North Magazine have featured The Chimney House as a hot pick for creative events space in Sheffield. Their glowing review of Sheffield as a vibrant location for business shows our city is one on the move! Hospitality & Events North pinpoint The Chimney House as one the most sought-after spaces in the city for all sorts of corporate events; meetings, training, private dining and more. Gone are the days of settling for bland magnolia conference venues with no windows - you can book the award-winning meeting room in our Grade II listed building for the most uplifting, creative and inspirational events. Superfast fibre broadband? We've got it. Unlimited fairtrade tea and coffee? Yup. Unfettered access to the biccy tin? You bet! Screen, projector and speakers? All included. We can lavish you with crispy Yorkshire bacon sarnies on arrival, the most delicious pastries you've ever tried (our fav pastry chef has just returned from a 4 year stint in London with Ottolenghi), the 'best lunch ever', all the way through to an evening of candlelit private dining, for when you just can't manage to tear yourself away from our beautiful space. We have so many guests visit us for corporate events, then instantly book birthday parties, weddings ("having our celebrations at The Chimney House was quite literally the best decision we've ever made") and all sorts of celebrations with us. Don't forget our fabulous in-house events, for when you just can't find another excuse to book... join our secret Supper Society, delight in Candlelit Yoga on our underfloor heated wooden floorboards, or just grab some mates for the most beautiful morning of Brunch delights.